Nearly 200 passengers landing at Bristol Airport this week were given an early Christmas present thanks to Clarks Village – the first ever outlet shopping centre in the UK. 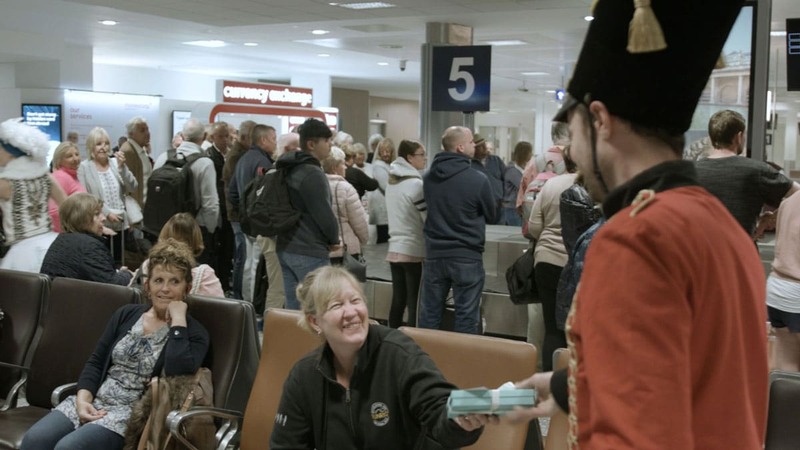 As passengers waited to collect their luggage, they were surprised by characters from The Nutcracker ballet who came to life and presented the passengers with special gift boxes. The delighted passengers were thrilled to find inside each box a range of Clarks Village gift cards, TUI holiday vouchers and gift cards for specific stores at Clarks Village including Musto, Ben Sherman, Clarks, Ernest Jones, Raging Bull, Next & Asics. 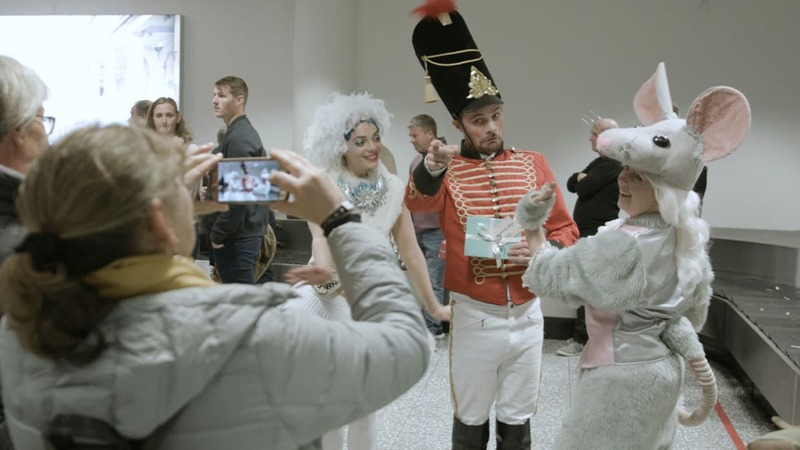 The Nutcracker characters were posed at baggage reclaim and gave a pop-up performance to Tchaikovsky’s iconic music. To see a short film of the magical Nutcracker performance please click here. Clarks Village is 25 miles from Bristol Airport and is home to 90 designer and high-street brands offering up to 60% savings on RRP. For more information about Clarks Village, please visit: www.clarksvillage.co.uk. To find out how Eye Airports can work with you to make your brand come to life at Bristol Airport, please click here.